It's the most wonderful time of the year—for burglars, that is. With a large portion of the neighborhood out on holiday vacation, empty houses can look particularly inviting to thieves. But don't fret: We've got the scoop on how to make yours less of a target. If you have plans to go away this year, whether to a sunny locale or your in-laws’, it’s only prudent to take reasonable steps toward securing your home against intruders. “A good deadbolt is the best protection there is,” Hoffmann says. “That’s where your security lies.” Quality deadbolts are certified by Builders Hardware Manufacturers Association (BHMA) and American National Standards Institute (ANSI) in grades 1 through 3. Grade 1 offers the highest level of security available. Beyond installing a deadbolt, you can go further to protect your home by making it appear as though the place is occupied. Ask a trusted friend, neighbor, or family member to park in the driveway, if it would otherwise remain empty, and also to periodically check up on the house. 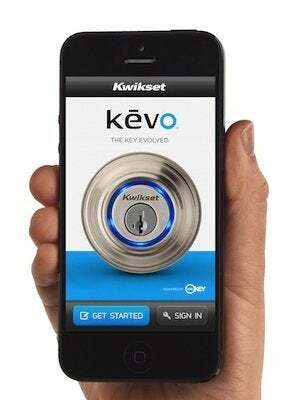 Thanks to smart locks like the Kwikset Kevo, providing others with access to your home couldn’t be easier. Using the Kevo app, you can send an electronic keycode, valid on a temporary basis, to whomever you’ve asked to drop by. And from your phone, you can monitor that person’s comings and goings. If he forgets to lock up, you can do it from your phone, no matter how many miles you are from your front porch. • Notify the post office to stop mail delivery to your address for the duration of your trip. • Place electronic timers in various rooms, setting them to activate lights on a staggered schedule. • Consider motion detector lights for the front and back of your property. 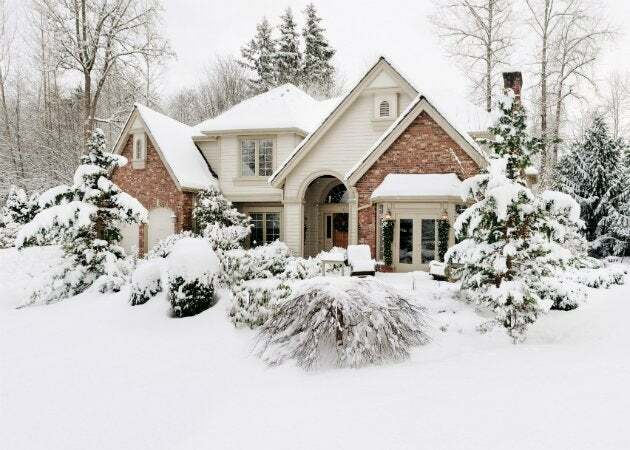 • Hire a landscaping service (or a neighborhood kid) to shovel snow while you’re away. • If you have an alarm system, remember to turn it on and to inform the alarm company of your plans. Before you’re set leave, put together a checklist of all the security measures you’d like to take. This list will help you stay on task in the hectic days and hours before you leave. After all, the last thing anyone wants is to go on vacation with the lingering thought, “Did I remember to lock the back door? “Plan ahead and you’ll find it’s easy to stay on the safe side without stressing. Merry Christmas, indeed!